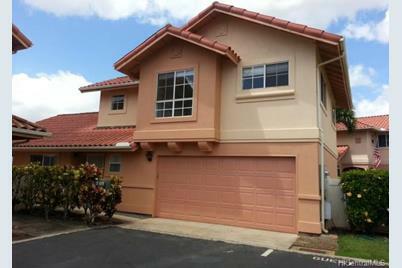 Comfortable, clean, tranquil home with 9 ft vaulted ceilings & makai views, in one of Oahu's premier master planned residential communities. This lovely 4 BR, 2.5 BTH home is situated at the end of a cul-de-sac offering privacy and seclusion. Large, fenced yard with guava trees & yellow hibiscus hedge creates a perfect environment for kids, pets, and entertaining. Newly painted exterior. Master bath upgraded 4 months ago. New living room carpet; 6 ceiling fans, ac unit on lower floor; 2-car garage with guest parking. Convenient access to shopping, restaurants, schools, golf and freeway. 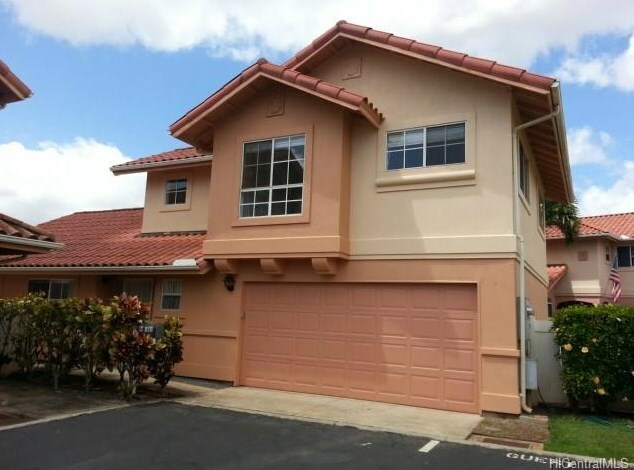 94-1001 Maiau Street #155, Waipahu, HI 96797 (MLS# 201502153) is a Single Family property that was sold at $640,000 on May 20, 2015. Want to learn more about 94-1001 Maiau Street #155? 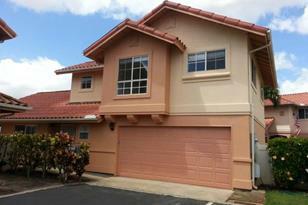 Do you have questions about finding other Single Family real estate for sale in Waikele? You can browse all Waikele real estate or contact a Coldwell Banker agent to request more information.